I thank everyone who have used my Android template. It still works and you can still customize it to add new libraries. However, those who have migrated to latest versions of Visual Studio, a better alternative to this template is already available from Microsoft now. I love Visual Studio. I love their express editions for being FREE. I love it because it gives superb intellisense as well as debugging support. The reason I enjoy coding .NET is probably because it's done in Visual Studio. I don't mind coding in any programming language as long as it was available in Visual Studio. During this whole exercise, I had to perform a set of manual operations, so I thought of converting it into a reusable project template. Every time I want to create a new Android App, I just wanna have to click on 'New Project" and then "AndroidApp" and it should just work! And here it is! . 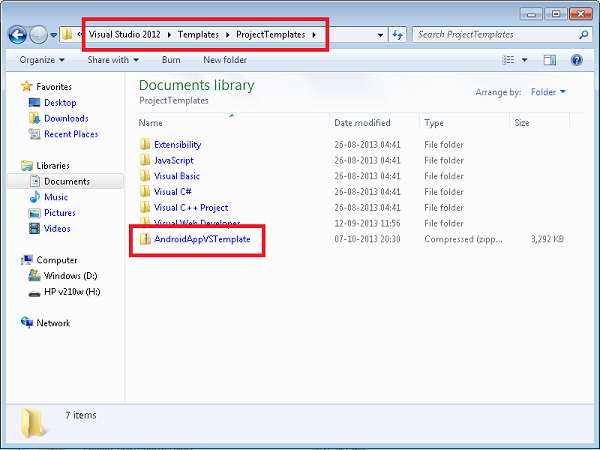 I am sharing this template with all of you so that you can also share the joy of coding Android apps in Visual Studio. You will still need the Java SE SDK and Android SDK because that is what's used underneath. Moreover, you will need ANT SDK as well in order to build. 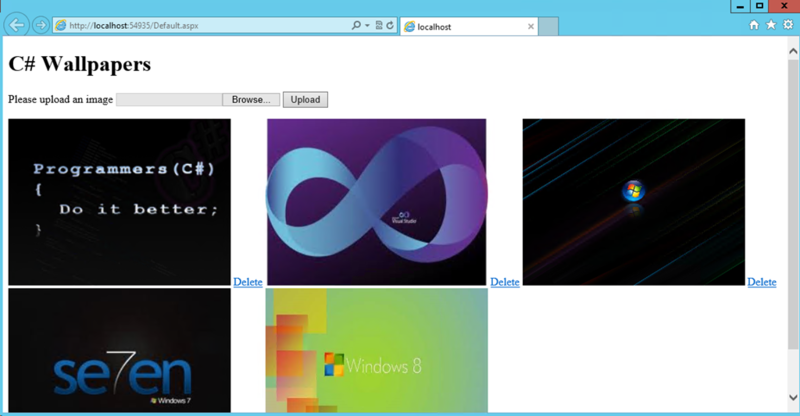 (CTRL+SHIFT+B in Visual Studio still works! It just calls the ANT SDK which performs the magic behind the scene). This is the template I keep on talking about. 4. 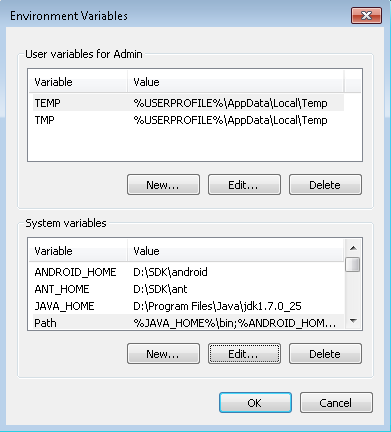 Set Environment Variables JAVA_HOME, ANDROID_SDK_HOME and ANT_HOME to the path of respective folder where these SDKs are installed. 7. Extract the Bundle. It will have a readme file and a template file. 8. 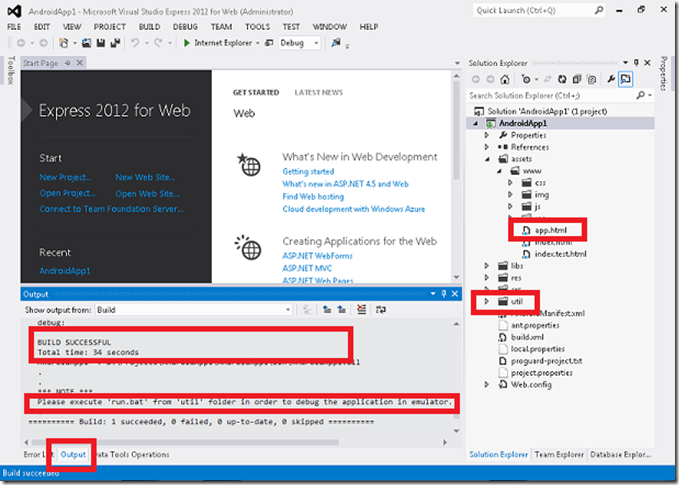 Launch Visual Studio 2012 Express for Web and create a New Project. 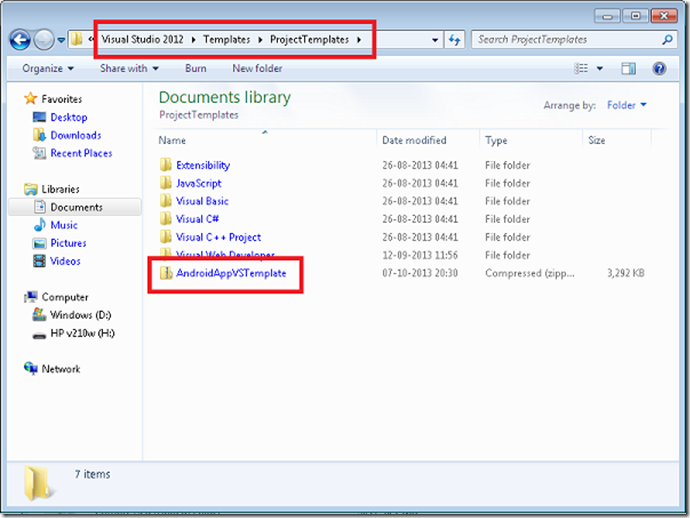 If you select 'Visual C#' from the tree, you will be able to see a new project type 'AndroidApp'. *** IMPORTANT *** Don't use space in the name of the app or even in the whole path, otherwise the build will fail. If you want to build your app, just press CTRL+SHIFT+B. In case there was an error due to some missing environment variables, the build will fail. You can see the detailed error log in 'Output' window. If the build succeeds, an APK will be generated in the bin folder. You can test your apk in emulator by running util\run.bat. If it does not work somehow, you can still resort to old fashioned way of using ADB.exe from android platform-tools. There are a couple other HTML/JS/CSS files from the cordova package which I kept as it is. I just changed their name to something more meaningful. You can delete them if you want to. The main entry point of application is index.html, which can be changed by modifying res\xml\config.xml. The following entry needs to be changed. 1. AndroidManifest.xml - Change the SDK number from 12 to the number of SDK you are using. 2. project.properties - Change the value of variable 'target' from 'android-12' to the number of SDK you are using. By the way, I am just a mediator, someone who thought of putting all pieces together in a single Visual Studio template. The real credit goes to folks who created wonderful frameworks such as PhoneGap, jQuery Mobile, knockout.js. The guys who thought of making HTML5 supercool also deserves their share of credit. I hope you will like this template and be more motivated to create android apps, especially if you are not familiar with java or you are a Visual Studio lover like me. If you do like this, then don’t forget to drop a comment! Win32 API offers a lot of functionality for Windows platform, which the .NET Framework doesn’t have for good reason – One of them being ‘managed’. However, that doesn’t stop us from doing some unsafe things! 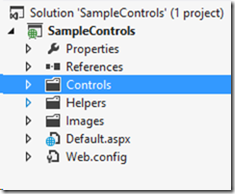 We can always build a wrapper for Win32 API and then call those functions directly from .NET. 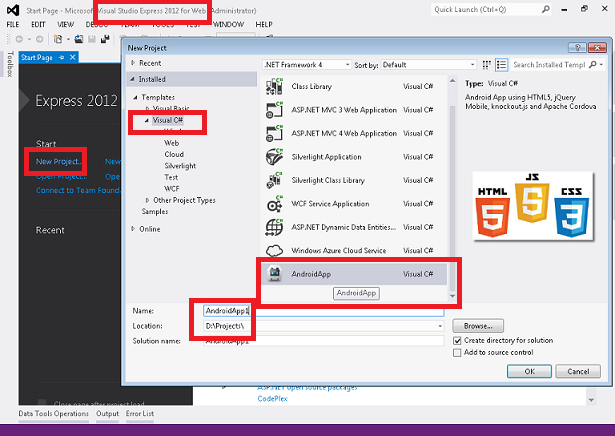 Let us evaluate one of such area which requires calling Win32 API functions from .NET. That area is ‘Simulating UI Automation’. Of course, the subject is too vast to fit in a single blog post, however, we can start with some basic things at least! 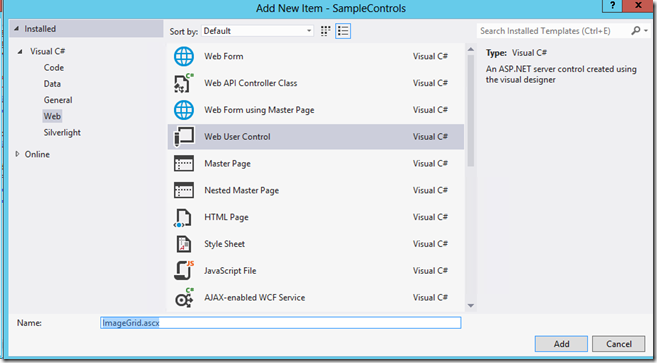 So let us start with creating a C# Console application. Next step is to create a new class called Win32 (you can name it whatever you like) and declare a couple of ‘static extern’ methods whose signature should match that of the unmanaged native Win32 API methods. There are a couple of DLLs for core Win32 APIs. You can categorize them into 8 areas. For more info, please visit http://en.wikipedia.org/wiki/Windows_API. We will be focusing on User32.dll for today’s topic as it deals with the ‘User Interface’. Note: Make sure you have added the following namespace. The FindWindow method is used to find a handle to any window by its application class name and its title. You can pass null as the first parameter. The FindWindowEx method finds child windows. The SetForegroundWindow sets focus on the specified window. The PostMessage is used to send key strokes to the window. Now, although not necessary, I have created another wrapper around this Win32 wrapper which exposes more user friendly set of methods. To do so, I have created another class named UIAutomationHelper. Now, let us create our main program. Note: Make sure you have added the following namespaces. 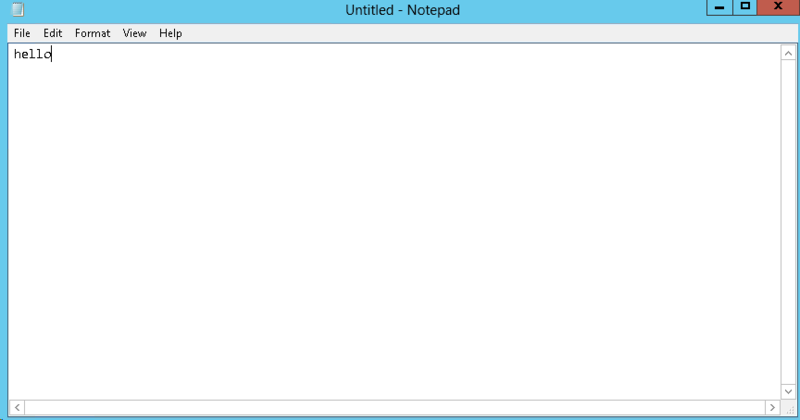 Now, what we are doing here is utilizing the Process and ProcessStartInfo to start an instance of Notepad. Then after waiting for 2 seconds, we are making call to your UIAutomationHelper method called FindChildWindow with parameters as className = null, windowName = “Untitled – Notepad”, childClassName=”edit” and childWindowName=null. Now this method internally calls the Win32.FindWindow and Win32.FindWindowEx and returns a handle of the Notepad instance we want use. The PressKeys method of our helper is also making call to Win32.PostMessage method internally which is used to post key strokes to the Notepad window. Now, let’s compile and run this program. This is what we get as an output. So, this is how we go about writing automated text in the any window. Now, if you want to know more about what we can do with our target window (in our case it was notepad), you can use a utility called Inspect.exe which can be found at the following location. This utility is part of Windows SDK that can be downloaded from the following location. 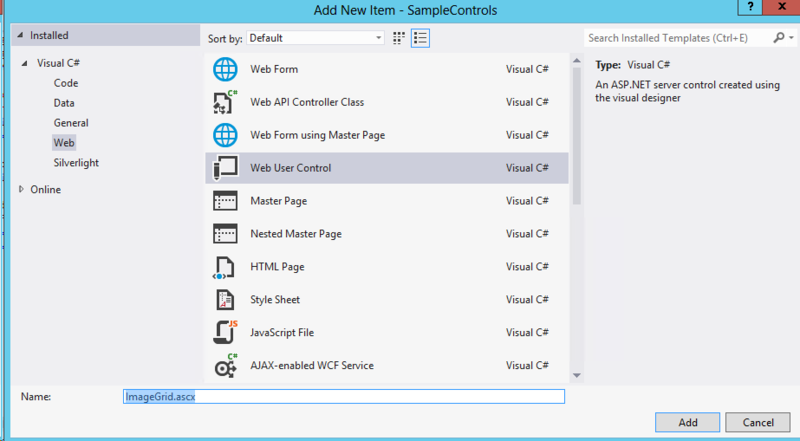 ASP.NET has a good number of default controls which usually satisfy your needs. Especially the ListView control, which is a template based fully customizable control which can be tweaked to suit your needs. 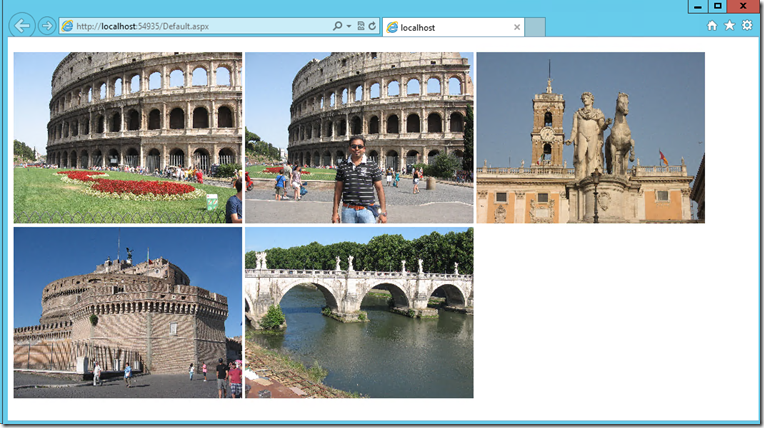 However, ASP.NET does not have a good Image Grid control (a kind of control you would want to use as a photo gallery), I will show you how you can create one simple Image Grid for yourself. 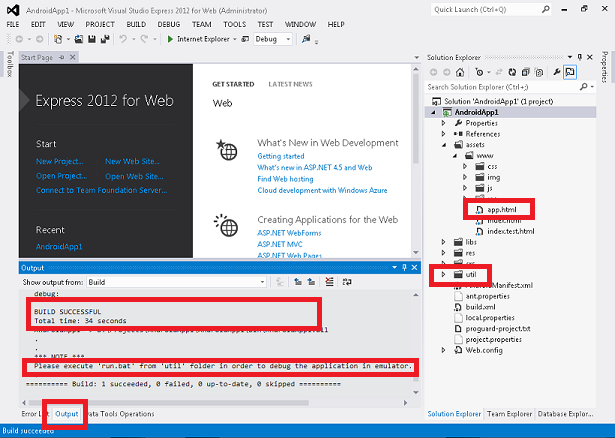 I am using Visual Studio 2012 Express for Web for this exercise, however you can achieve the same with full version of Visual Studio 2012 or even with Visual Studio 2010. 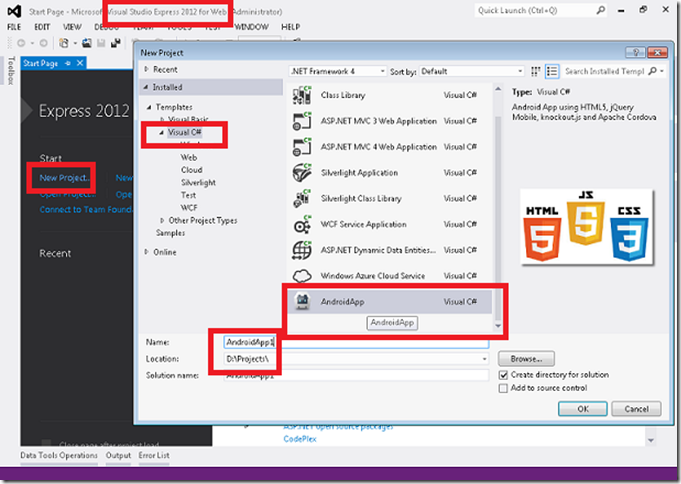 First create an empty ASP.NET Web Application. Now create one folder ‘Controls’. You don’t need to put your control in ‘Controls’ folder, however it is a good practice to put relevant things in its own folder. Here you can see I have also create some other folders such as ‘Helpers’, ‘Images’ and Default.aspx (Remember? We chose empty ASP.NET web app, so Default. aspx will not be available by default). As a habit, I always log exceptions so that later on the developer (I) will be able to determine if any error/exception occurred in production. For that purpose, I am going to write a simple logger which logs messages to Windows Event Log. You can write your own custom logger, or you may already have some good logging strategy in place (for example – ELMAH). If that is the case, then skip this step. Make sure you comment out Logger.Log(ex.Message) statements in the next sections, which uses the Logger class I am creating here. Create a C# class named ‘Logger’ in Helpers folder. /// Logs the message into Windows Event Log. Time to start creating the Image Grid. Open the ImageGrid.ascx you created in Step 1. In the markup page you will be adding a customized list view. Paste the following code in the markup. ImageUrl="<%# Container.DataItem %>" Width="320" Height="240"
CommandArgument="<%# Container.DataItem %>" Text="Delete" Visible="false"
This ListView is not bound to any DataSource yet, as we are going to bind it to a List<string> providing image path programmatically. The most important piece of code lies in ItemTemplate and InsertItemTemplate. Inside ItemTemplate, we have 2 buttons. One ImageButton to display the image and a LinkButton to Delete the Image.The ImageButton binds to the current iterated item of the DataSource using Container.DataItem as ImageUrl. The same url is also used as CommandArgument which will be passed to the EventArgs while firing OnCommand, which is handled by itemImageButton_Command in order to show the Full Image. The LinkButton is not Visible by default. It will be visible only when the AdminMode is enabled (We’ll soon cover how to set AdminMode). This check is handled in the Load event of the LinkButton. Similarly the InsertItemTemplate is also visible only when the AdminMode is enabled. In other words, If AdminMode is set then you can upload new Image as well as delete existing Images. If it is not set then all you see is the 320x240 icons of the Images in the ImageFolderPath (We’ll also cover how to set the ImageFolderPath in a moment). All can do is click on the image icon and it will display the FullImage. Now it is time to write the Code-Behind. Instead of pasting the full code-behind, let us take it in steps so that we can better understand it piece-by-piece. We have 2 private members to store the virtual and actual path of the Image Folder, which can be set via the public property ImageFolderPath. Any public property of a User Control (ascx) can be set via attributes. For Example, just as you would set <asp:TextBox Text=”something ….. you would use <cc:MyCustomControlOrWhatever MyProperty=”” ……. So when you will actually use this grid in an ASPX page, it will be very simple to set any folder containing images in ImageFolderPath attribute and whether you want to display the AdminMode controls (upload and delete functionality). If you want to control AdminMode programmatically by identifying whether the user has access or not, it is just as easy, because ultimately it is just a public property of the ImageGrid class. When the ImageGrid loads, it will first update the virtual and physical path by using the values inside ImageFolderPath. If AdminMode is enabled, it will enable the InsertItemTemplate. Before actual rendering, the data binding will happen and the ImageGrid will be updated with current Images. UpdatePath() and BindData() are shown in the snippet below. The above snippet is self-explanatory. Just note one thing that the code takes the default path as “~/Images”. In other words, if you don’t specify ImageFolderPath, then by default the code will pick up Images inside ‘Images’ folder. Another good practice would be to put all the images in such a separate folder. Now let’s walk through some other event handlers. When the titleLabel control is loaded, it picks text provided via the Title property. Another customizable thing. As explained previously, the deleteLinkButton gets visible on-the-fly if AdminMode is enabled. When an image is clicked, the Url is passed via CommandArgument, which is then used to Redirect. Text = GetFileName(path) + " deleted successfully!" The delete operation is performed by the above snippet. Here, instead of ‘Delete’ we have passed a custom ‘Remove’ command, which seems odd. This is done order to utilize the CommandArgument which is not available had we used the ‘Delete’ command. When the FileUpload control is loaded and IsPostBack is true, it checks for the PostedFile property which contains uploaded image. The Image is saved in the physical path which was set initially. The above snippet show the GetFileName helper method used in some of the handlers. Whew! Finally… it is time to use the control !!! All this lengthy and confusing work will finally pay off You just need to add the following code in your page. We had added a Default.aspx. Paste the following markup in there. Now you can see the Title, Image Upload control, as well as Delete Links. Before using this last piece, however, make sure you have setup Roles and the current user accessing the page is in ‘Administrator’ role. Of course, Membership and Roles are totally different topics and out of the scope of this tutorial. Well, I hope you have enjoyed this tutorial. If so, please do comment. You will usually encounter this problem when you have downloaded a sample application that is a 32-bit application targeted for ASP.NET 2.0 or 3.5, and you have IIS7 on a 64-bit OS running .NET 4.0, because the default setting for running 32-bit application on IIS7 with 64-bit OS is false. 4. Create anew AppPool. 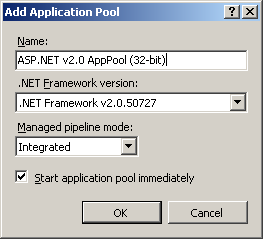 I have named it ASP.NET v2.0 AppPool (32-bit) and selected .NET Framework v2.0.50727 because I intend to run my ASP.NET 3.5 application on it. 8. 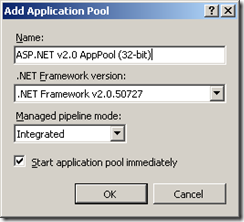 Change the Property “Application Pool” to your newly created AppPool. Assembly is the smallest unit of deployment in .NET Framework. When you compile your C# code, it will get converted into a managed module. 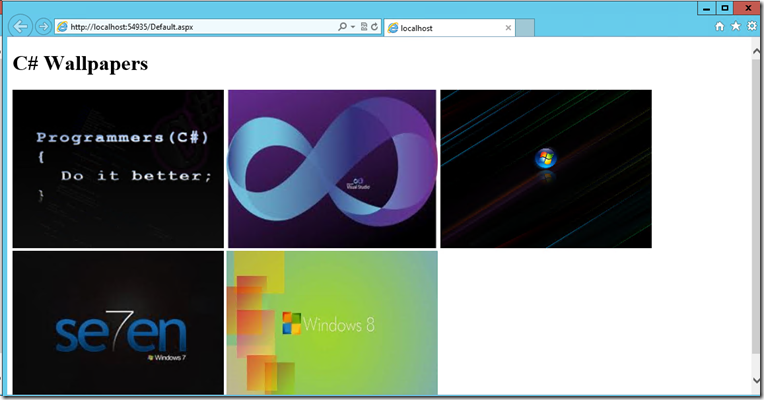 A managed module is a standard EXE or DLL. This managed module will have the IL (Microsoft Intermediate Language) code and the metadata. Apart from this it will also have header information. The following table describes parts of a managed module. This is a standard Windows PE header which indicates the type of the file, i.e. whether it is an EXE or a DLL. It also contains the timestamp of the file creation date and time. Contains the version of the CLR required, some flags, token of the entry point method (Main), size and location of the metadata, resources, strong name, etc. Metadata There can be many metadata tables. They can be categorized into 2 major categories.